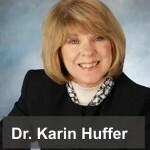 As a marriage and family therapist with over 30 years of experience, Dr. Karin Huffer identified, in 1995, that extreme stress caused by our adversarial courts of law exacerbates health problems and can even cause PTSD and anxiety disorders. In response, she developed a healing 8-step protocol tackling prevention and recovery. Dr. Huffer is a trusted speaker, writer, and researcher on the topic of legal abuse syndrome and conducts webinars certifying advocates to put the protocols to work actively – right in the courtroom – to help disabled litigants that have nowhere else to turn to. Dr. Karin Huffer clarifies and effectuates the rights of those living with invisible disabilities. EAA’s court advocates are prepared to recognize and challenge legal abuses and the syndrome that can result from extreme stress. Their education includes the use of tools for and information on conducting functional disability assessments. Classes prepare advocates to design accommodations that offset symptoms supporting litigants. The jewel in this program is the incorporation of eight steps to maintain mental health to be incorporated at the beginning, during, and end of the litigation process. Mental and physical endurance are paramount to life during and after the litigation experience.